Maryland Baseball Network is counting down to Opening Day! Today marks 14 days until the start of the 2017 season, so here’s a look at #14, John Szefc. About Szefc: “The General” begins his fifth season at the helm of the Terps already as the most successful head coach in Maryland Baseball history. In his first four seasons, Szefc led Maryland to two NCAA Super Regional berths—the first NCAA Tournament appearances for the Terps since 1971. He’s the only head coach to record back-to-back 40-win seasons (’14, ’15), and Maryland has won at least 30 games in each of his four seasons—the longest streak for any head coach in the history of the program. Additionally, Szefc was the fastest Maryland coach to 100 wins, holding a record of 142-99 (.589) over the past four seasons. Under Szefc, who was hired in July of 2012, 22 Terps have been selected over the course of the last four MLB Drafts, including six players who decided to forgo professional careers to come to Maryland as freshmen or return for another season (Nick Cieri, Justin Morris, Hunter Parsons, Andrew Miller, Mike Rescigno, Tyler Blohm). The 2015 season marked the most successful season in Maryland Baseball history. Szefc guided the Terps to a program-record 42 wins and an upset of No. 1 overall seed UCLA in the NCAA Regionals. In total, eight players were selected in the 2015 MLB Draft, the most in one draft class in program history. All eight players drafted in 2015 are still currently matriculating through various professional organizations. Shortly after the 2015 season, Szefc inked a five-year contract extension. He began his coaching career at his alma mater, Drexel, becoming an assistant coach after finishing his playing career as an All-East Coast Conference outfielder his senior season with the Dragons. He had previously spent two seasons playing at the University of Connecticut. After five seasons at Drexel, Szefc spent time at Sacred Heart, Marist (where he was the head coach for seven seasons), Louisiana-Lafayette, Kansas, and Kansas State before arriving in College Park in the summer of 2012. Maryland Baseball Network is counting down to Opening Day! Today marks 15 days until the start of the 2017 season, so here’s a look at #15, Pat Hisle. Height/Weight: 5’9″ / 185 lbs. About Pat: As a freshman in 2014, Pat Hisle appeared in 10 games (none of them starts), and became a reliable defensive replacement at both middle infield positions. In 2015, Hisle made four starts in his 13 appearances, hitting .118 with a double. His big impact, however, was in the field, as he entered for the injured Brandon Lowe in game two of the super regional against Virginia and made a highlight diving play at second base. In 2016, Hisle made four appearances without making a start, and only had one at-bat as a pinch hitter. He played locally over the summer with the Cal Ripken League’s Gaithersburg Giants, hitting .221 with 16 RBI in 30 games. This season, Hisle again figures to see limited action as a late-inning replacement, as Kevin Smith and Nick Dunn have the middle infield positions locked down. Maryland Baseball Network is counting down to Opening Day! Today marks 16 days until the start of the 2017 season, so here’s a look at #16, Taylor Bloom. Height/Weight: 6’0″ / 195 lbs. About Taylor: Taylor Bloom was a model of consistency during the 2016 season, as he was one of two Terps to throw over 100 innings, leading Maryland in complete games and finishing with more starts (14) than walks (9). 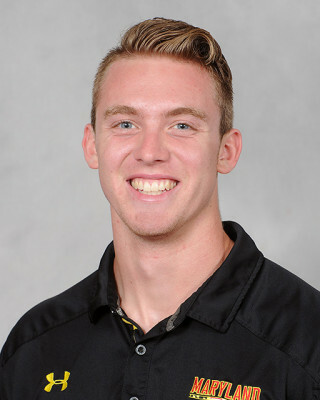 He finished second in the nation in walks per nine innings (0.79) and 15th in the nation in strikeout-to-walk ratio (6.67), as he was the only pitcher in the country to throw more than 100 innings and walk fewer than 10 batters. Due to his heavy workload in the spring, Bloom was shut down during the summer and did not participate in summer baseball, instead working out with nearby teammates in College Park. 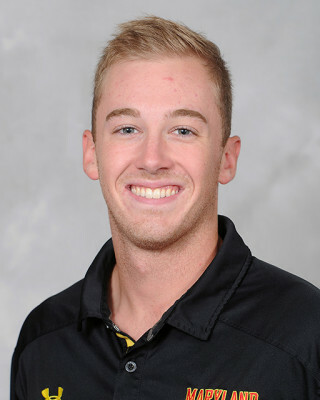 This season, the junior right-hander will once again locks down the Saturday slot in the Terps rotation, as his ability to miss bats and induce ground balls with his change-up makes him a change-of-pace option for Maryland. Maryland Baseball Network is counting down to Opening Day! Today marks 17 days until the start of the 2017 season, so here’s a look at #17, Hunter Parsons. 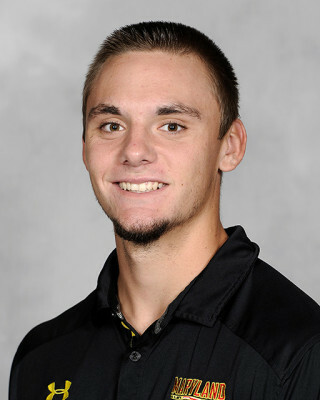 About Hunter: Hunter Parsons was drafted out of high school in the 40th round of the 2015 MLB Draft by the Cleveland Indians, but turned down the professional opportunity to play for the Terps. Last spring, he began the season as a late-inning bullpen option for John Szefc, but earned an opportunity to start in a midweek role midway through the year. He flourished in his first four starts, logging an ERA of 1.90 in 23.2 IP, striking out 19 and walking just three. He was named Big Ten Player of the Week in April following a seven-inning, two-hit gem against James Madison, and later in the month earned his first career weekend start against Purdue. His final start came against Iowa in the Big Ten Tournament semifinal, when he allowed three runs across 3.2 innings. Parsons brought the momentum from his freshman campaign at Maryland to the Cal Ripken League, where he enjoyed an exceptional summer with the Baltimore Redbirds. He led the league in strikeouts (44) and wins (6) and finished second in ERA (1.40) en route to being named the Cal Ripken League Pitcher of the Year. This offseason, Perfect Game ranked him as the No. 63 sophomore in the country, joining teammate Nick Dunn (43) on that list. After emerging as the most stable midweek option last season, Parsons figures to be a part of the weekend rotation in his sophomore campaign. Maryland Baseball Network is counting down to Opening Day! Today marks 18 days until the start of the 2017 season, so here’s a look at #18, Will Watson. 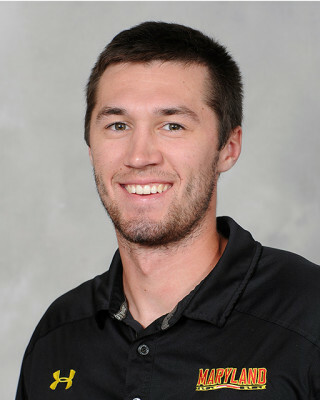 About Will: Junior Will Watson is one of three transfers to join the Terrapins this season, along with right-hander Ryan Hill and infielder Brandon Gum. 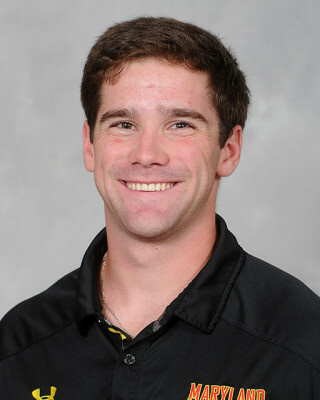 The Louisiana native played his freshman and sophomore seasons at LSU-Eunice, where he played with current Terps outfielder Madison Nickens in 2015. He brings multiple assets to the plate, as he hit .312 with 11 doubles, four homers, 21 stolen bases, and a 1.000 OPS in 46 games last season for a top-ranked Division II LSU-Eunice team that finished 51-6. Maryland Baseball Network is counting down to Opening Day! Today marks 19 days until the start of the 2017 season, so here’s a look at #19, Matt Swope. 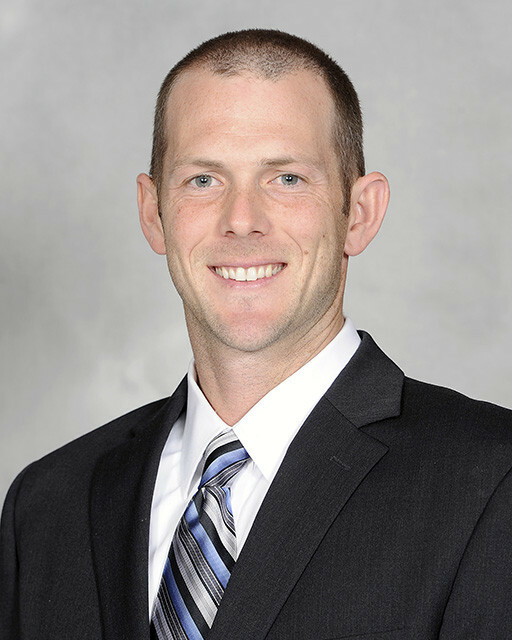 About Matt: Matt Swope is entering his fifth season as the Terps’ Director of Baseball Operations after being named to the position in 2012. As the Director of Baseball Operations, Swope oversees Maryland Baseball’s budgets, fundraising, travel logistics, team events, etc. OF Matt Swope as a member of the Terrapins in 2001. Swope was a four-year starter for the Terps during his time at the University of Maryland. From 1999-2002, he patrolled the outfield, finishing with a career batting average of .331, 16 home runs and 135 RBIs. He is Maryland’s all-time in runs scored (181), second all-time in hits (253) and walks (106), third in total bases (360), fifth in RBIs, and eighth in stolen bases (44). Swope spent three seasons in the Montreal Expos’ organization after being drafted by the team in the 24th round of the 2002 MLB Draft. He also played one season with the Washington Wild Things of the Frontier League in 2005. Maryland Baseball Network is counting down to Opening Day! Today marks 20 days until the start of the 2017 season, so here’s a look at #20, Ty Friedrich. About Ty: Friedrich comes to Maryland after a historic season in high school, which earned him a spot on Baseball America’s Pennsylvania draft prospects list. Perfect Game’s third-ranked catcher in Pennsylvania’s Class of 2016 was also named to the Rawlings-Perfect Game Honorable Mention All-American team after his senior season. Friedrich spent the summer playing for the Silver Spring-Takoma T-Bolts in the Cal Ripken Collegiate Baseball League—the same team as now-Terps teammate Nick Cieri. This season, Friedrich’s biggest chance to make an impact may be as a pinch-hitter, as he’ll more than likely play behind both Cieri and junior Justin Morris.